Quanta Morph can assist you to bring joy and happiness to your heart for you to live life to your fullest. Bad, dark or lost entities or forces can be stopped from attacking you in dreams or when awake and we can help to boost your physical and spiritual strength to be able to withstand and negative or evil attacks. Do you or anyone you know have any of the following symptoms? If so you may have a spirit attachment may be under attack. When a spirit attaches to you, you can absorb all they are and whatever ailment they had when they died. Some can attach into your brain or kidneys or any other organ. You may even have a more peaceful sleep because Quanta Morph is working with everything you do. Removing spirit attachments or possessions is very self-empowering. 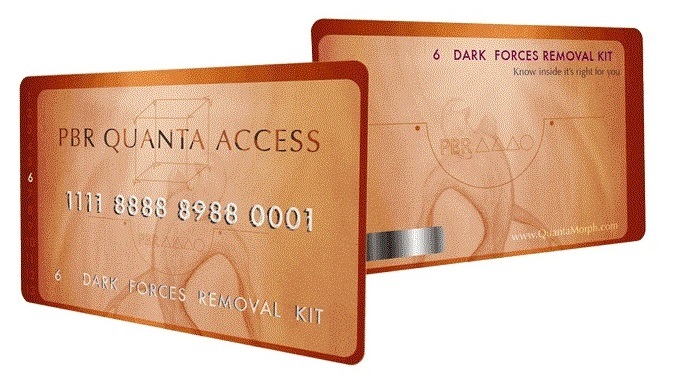 You can purchase a card the size of a credit card that will assist you in the removal and harmonization of dark forces. Click here for more information and to purchase.